The process of getting a divorce in Florida can be frustrating, confusing, stressful and fraught with emotions. Our team wants to help you through this difficult time and ensure that you are adequately prepared for all of the challenges that you might face. To get you started, we have put together a list of six of the most important questions that you need to ask yourself before moving forward with your Florida divorce. Is Divorce the Right Option? Very few couples are able to rebuild their marriage after the divorce process is initiated. Telling your spouse that you believe the marriage is over is likely to trigger many intense emotions. It is important for you to assess the state of your relationship and consider if divorce is the best available option for you. Some couples that have marital issues may be better off considering counseling or therapy before seeking divorce. Do You Know Where You Will Live? Before beginning the divorce process, it is critically important that you consider the future living arrangements for both you and your spouse. Setting up a new living situation often requires a great dealing of advanced planning. This is one of the most important logistical issues involved in a divorce and it should not be taken lightly. Have You Thought About Arrangements for Your Children? If you have children, there is nothing more important that protecting their emotional and physical well-being. Additionally, you also need to ensure that your parental rights are fully protected. Disagreements regarding the children tend to be the most contentious issues that arise in a divorce case. Some of the child-related issues you should keep in mind include child custody rights, possible child support obligations and potential visitation rights. How Difficult Will it Be to Split Up Your Assets and Liabilities? Over the years, you and your spouse have no doubt commingled your finances. For some couples, splitting up assets can be extremely challenging. 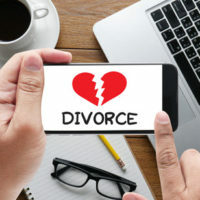 Before broaching the topic of divorce with your spouse, it is a best practice to take a full accounting of your joint and separate assets and liabilities so that you know what will be at stake. Can You Work Through the Divorce Process in a Collaborative Manner? The contentious issues that arise during the divorce process can be resolved in several different ways. When possible, it is generally best to work with your spouse in a collaborative manner. In Florida, the collaborative divorce process as well as the divorce mediation process are available to help separating couples work together in order to find mutually beneficial solutions. Have You Spoken to a Divorce Attorney? If you have not yet consulted with a divorce attorney, please do no as soon as possible. You should not go through this process alone. At Law Offices of Steve W. Marsee, our family law team has extensive experience handling divorce cases in Central Florida. To learn more about what we can do for you and your family, please call our Orlando office today at 407-521-7171 to request a fully confidential initial family law consultation.